Calder House has been rated as OUTSTANDING in all areas following our latest inspection by Ofsted. The school was given the highest possible rating against all of the inspection criteria - for the third time in a row! I am delighted with this result. It means a huge amount to Calder House and every single member of our team! We are really proud to be rated as Outstanding by Ofsted. This is about much more than just a new logo on our website. Calder House exists to blaze a trail for each child who comes to our school; to rekindle self-belief and a genuine love of learning; to help each child recognise their personal strengths and overcome the things they find difficult. We exist to be outstanding - it is the reason we are here. That's why Ofsted's judgement, which recognises the extraordinary dedication of our team as well as the remarkable achievements of our pupils, really matters to us. And that's why we are all over the moon!" Mrs Delahay, Head of School. The quality of teaching is outstanding. Teachers and leaders know the needs of every pupil in exceptional detail. Teachers plan the precise next steps to enable all pupils to make rapid and sustained improvement in the range of subjects taught. Teachers have an excellent knowledge of every pupil. Together with specialist experts, including the on-site speech and language therapists and occupational therapist, teachers plan sequences of learning matched precisely to each pupil’s individual need. Consequently, pupils thrive academically, socially and emotionally. Personalised timetables featuring bespoke activities are highly effective. These are produced for every pupil, so that they receive the timely and specific support needed to overcome their individual barriers. Pupils’ behaviour in lessons is exemplary. They are attentive and highly motivated. This work ethic contributes to pupils making rapid progress. Pupils catch up quickly in the full range of subjects. Leaders’ dedication to improving core literacy skills, including reading, writing and communication, enables pupils to make accelerated learning across the curriculum. As a result, the overwhelming majority of pupils re-integrate successfully to mainstream education, having caught up with their peers. A man was walking along the beach one day. Ahead he noticed another, older man picking up a starfish that had become stranded on the sand and throwing it back into the sea. 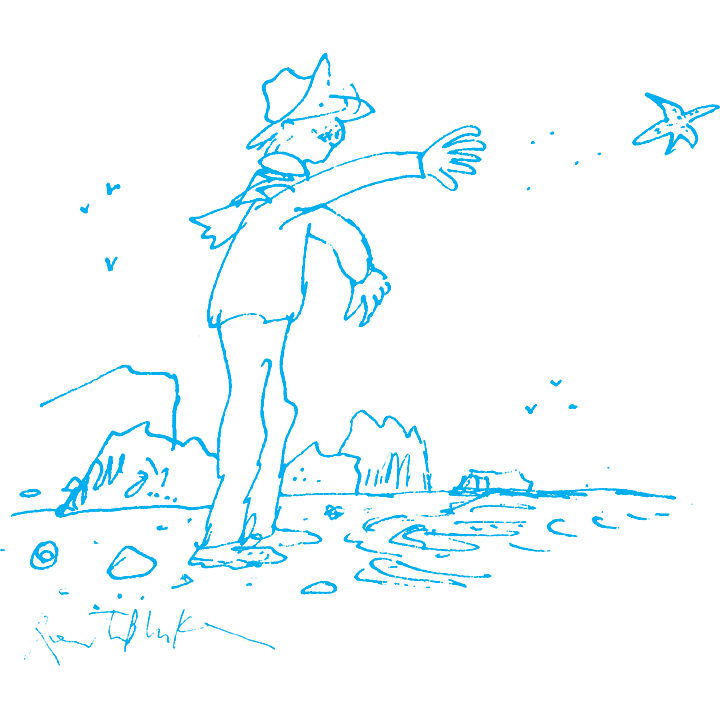 The old man looked at the starfish in his hand and then he threw it to safety among the waves. “I can make a difference to this one,” he replied. Countless children feel stranded at school – for some Calder House can make a real difference. In July 2013 we received this letter from a former parent. I thought you might like news of one of your pupils, my daughter. Before coming to Calder House, she had been bottom of her class in every subject at her previous school. The year after leaving Calder House, she won the Science prize at Queen Mary's Baldersby. Later, she was to win an Exhibition to Ampleforth 6th form. Her university applications were accepted by every university she applied for, including Warwick, York, Durham, St Andrews and Manchester. But she chose Edinburgh. Yesterday I went up to Edinburgh to see her awarded her Masters Degree in Chemistry for Medicinal and Biological Science. She spoke with great affection of how Calder House had helped so greatly. Read all about it! Click here to download the latest issue of our school magazine designed, compiled and edited by pupils from the Purple Class. Match report: find out what happened when our netball team played Marshield and Prior Park. Ofsted says CHS is OUTSTANDING! Ben returns to CHS as a Reading Ambassador! Our best results ever: not a single child passed! CHS pupil competes at National Schools Biathlon. CHS Pupil Wins Spirit Of ESB Award! Calder House pupil Eloise has been presented a Special Award by the English Speaking Board at a glittering ceremony in Liverpool. Calder House smashes its own record as every child passes the exam and 70% are awarded "Merit Plus" or "Distinction"
And the Winner is… CALDER HOUSE! CHS wins Special Needs Initiative of the Year at Times Educational Supplement Independent School Awards.